After a week of rain and cloud, get ready to be swept away to paradise! We jumped at the chance to preview Swarovski’s Tropical Paradise Spring/Summer 2013 Collection. Once again, we were floored by what next season has to offer. 1. 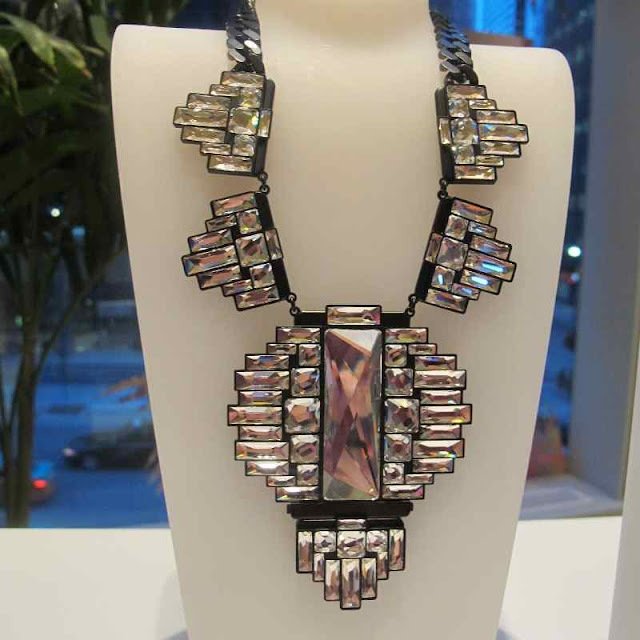 Thyra Necklace with matching cuff -The Thyra Necklace makes a splash with oblong crystals atop black onyx. I thought its structure resembled the architecture of Teotihuacan, an ancient city in Mexico. 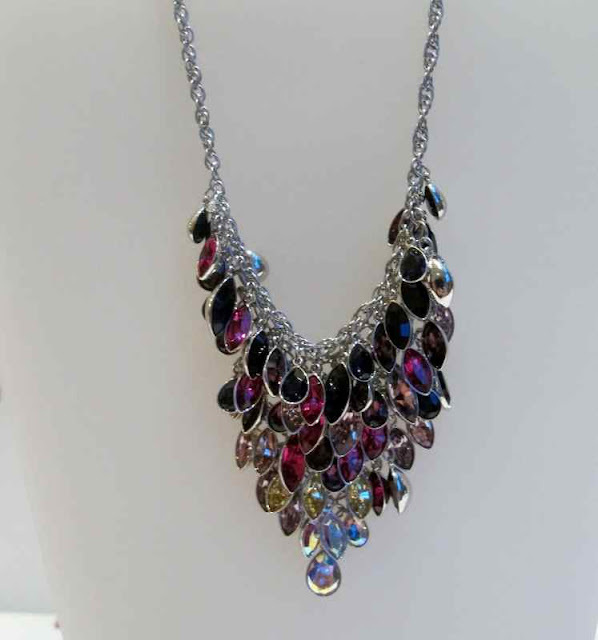 The coolest part of this necklace is its versatility – clip on an extra piece to lengthen and blingify the look. Sort of like Lego for jewelry! 2. Tody Necklace with matching earrings - Brighten your outfit with a sun shower of shimmering pastels on a classic chain. This was my favourite piece in the collection. 3. 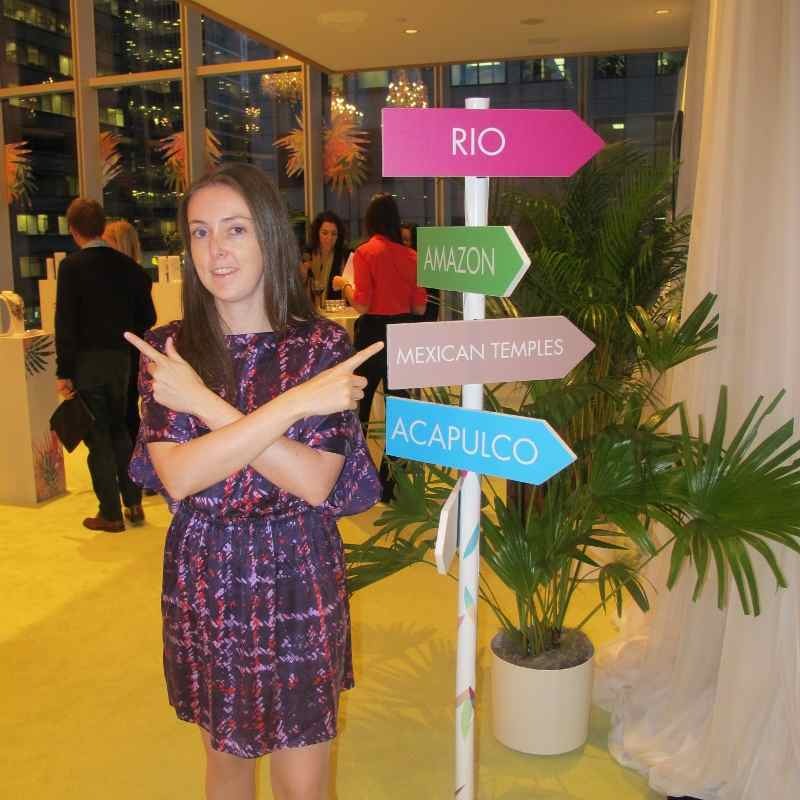 Rainforest wear - Want to add a little rainforest to your look? 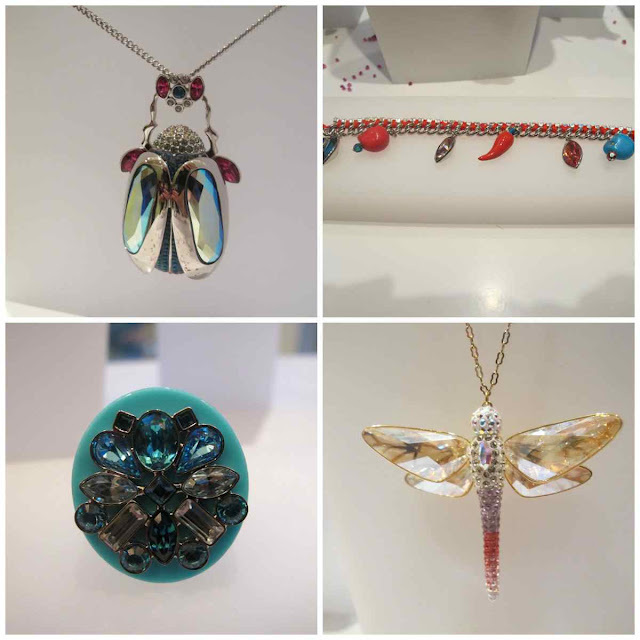 Dress yourself in beetles, dragonflies, chilies, and exotic plants – as jewelry, of course. 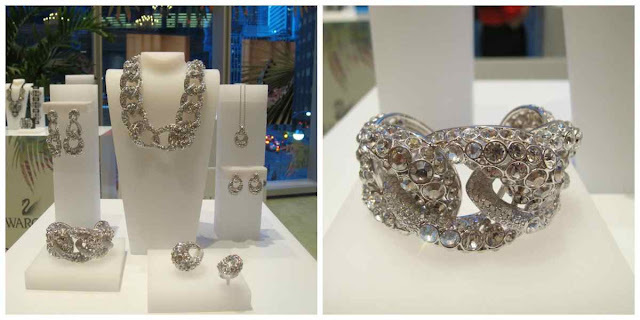 These pieces are eye-catching and can boost any outfit. Not to mention, the Triumphal Cuff Blue will make your finger bloom in bright hues. 4. Cocktail Rings - Bedazzle your fingers with this pink and plum Sketch ring. Or create a centrepiece for your hand with an azure Moonshine cocktail ring. Either way, gorgeous is a guarantee! 5. 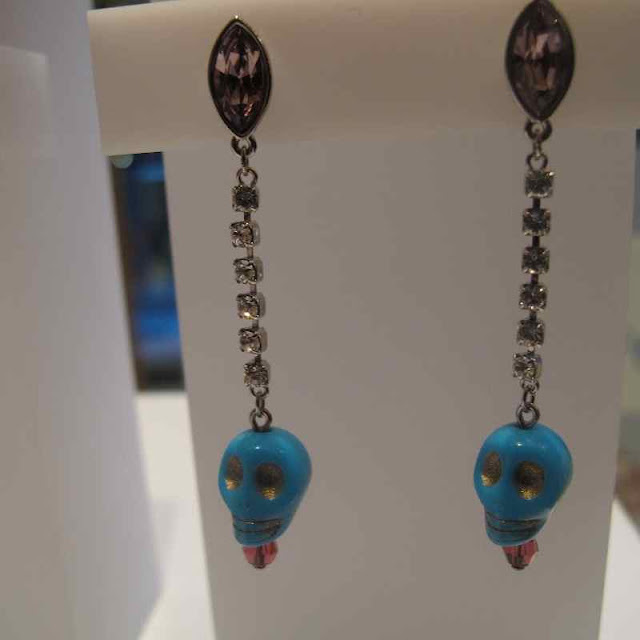 Torpedo - Halloween is over, but these rock & roll Torpedo skull earrings will last all year. 6. 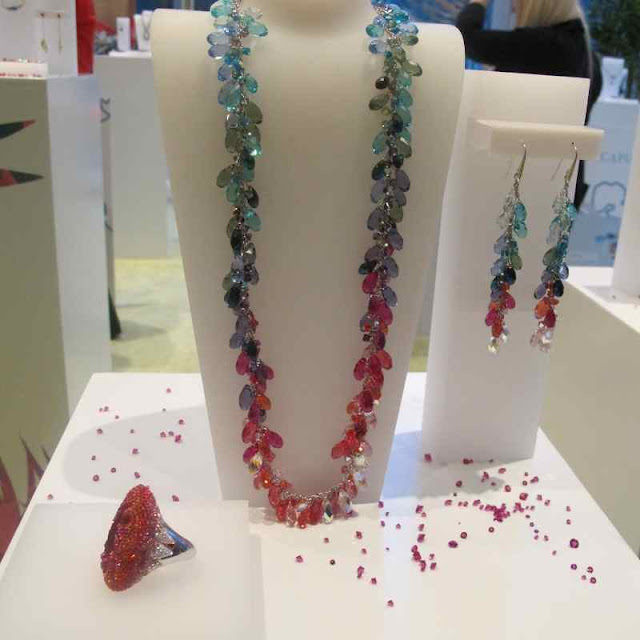 Niagara Necklace & Earrings - Flaunt your feathers with the exotic Niagara necklace and earrings. I loved the cascade of radiant colours on a modest silver-linked chain. 7. 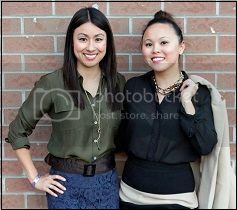 Tabloid Bracelet and necklace - Snake is all the rage! Wrap your wrist with this silver Tabloid bracelet, studded with starry crystals and a serpent-like twist. Pair with the matching Tabloid necklace to complete the outfit. 8. Tangara Necklace, Earrings, & Ring - The Tangara Series wins high points for beauty and innovation. The fusion of luminous gems and spiky frames gives this piece a serious edge. I’m loving the Tangara ring/cuff combo that attaches to the wrist and fingers for maximum glitterification. 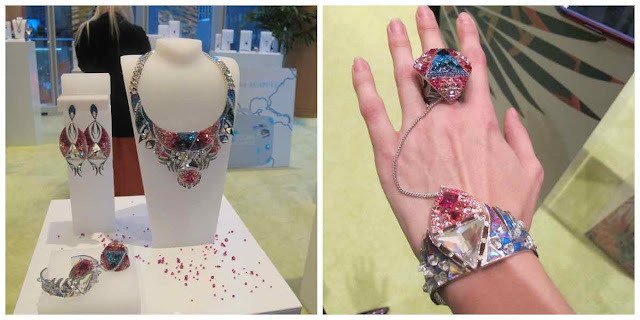 Swarovski’s Spring Collection is not to be missed, and these are just the highlights. Mark your calendars for the public release in March 2013!